Health workers spent Tuesday night sanitizing the school and throwing away items the infected worker had touched, including pots and pans. According to Northern Kentucky Health Department representative Steve Devine, it was an exercise in extreme caution rather than a response to a severe threat. An investigation found workers in the school had followed proper sanitation protocol prior to the single employee's diagnosis. 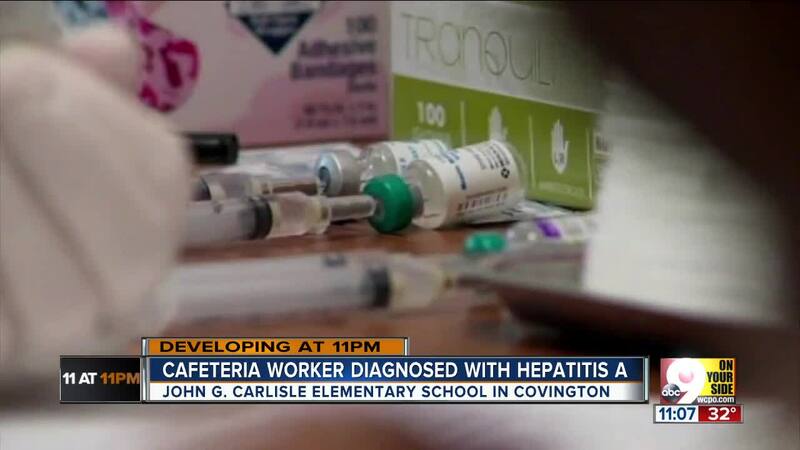 COVINGTON, Ky. -- A cafeteria worker at John G. Carlisle Elementary School was on Tuesday diagnosed with hepatitis A, according to a news release from the Northern Kentucky Health Department. The employee was likely working while contagious. Health department officials said Carlisle Elementary’s staff were made aware of the diagnosis and encouraged to immediately get vaccinated against the virus. Students and their family members who ate cafeteria food between Nov. 13 and Dec. 3 should also be vaccinated if they have not already, although the likelihood of that is low: Kentucky schoolchildren were required by law to receive the vaccination before the start of the 2018 school year in order to attend. Health workers spent Tuesday night sanitizing the school and throwing away food items the infected worker had touched. 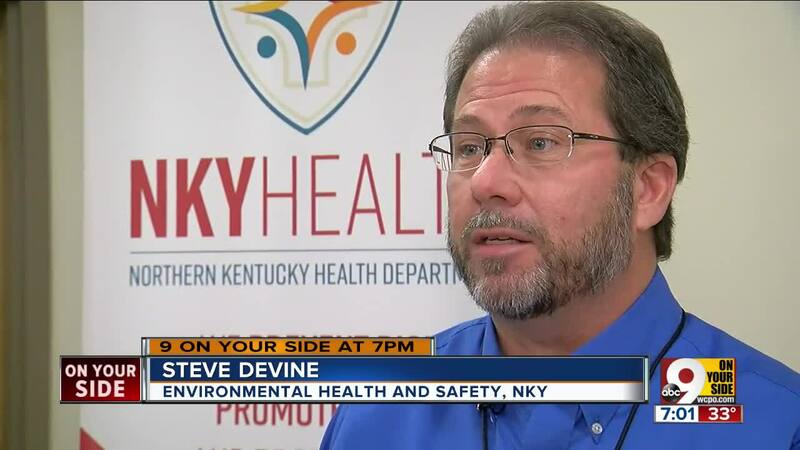 According to Northern Kentucky Health Department representative Steve Devine, it was an exercise in extreme caution rather than a response to a severe threat. An investigation found workers in the school had followed proper sanitation protocol prior to the single employee's diagnosis. The news arrived amid a statewide outbreak of the virus, which attacks the liver and can cause symptoms such as skin yellowing, loss of appetite, fever, nausea and stomach pain. Northern Kentucky has seen 208 cases of hepatitis A since the beginning of 2018; Kentucky as a whole has seen more than 2,800. Anyone concerned about contracted hepatitis A should receive the vaccine, which is administered twice six months apart. In the meantime, they should take care to wash their hands carefully with soap and hot water, including under their fingernails.